The Walt Disney World Airport, as depicted on a 1971 Disney World map. The earliest depiction of the Disney airfield was on a 1971 Disney World map. 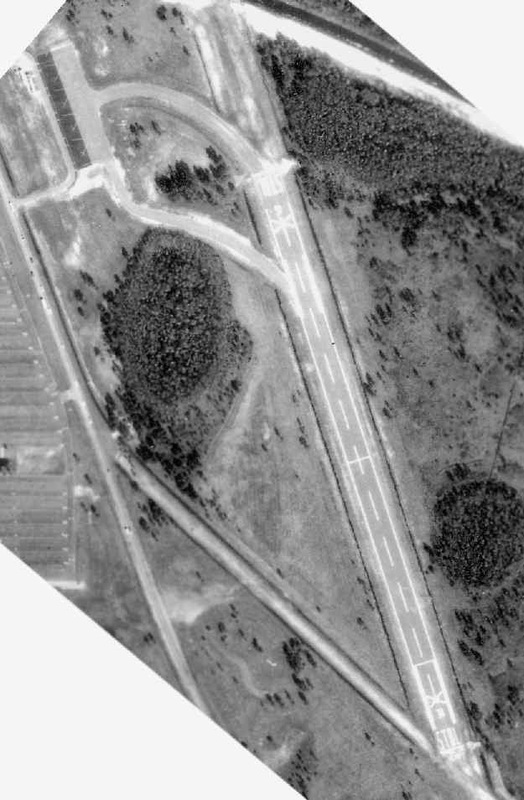 It depicted a single northwest/southeast runway, with a taxiway leading to a small office on the northwest side. When Walt Disney World opened in 1971, Shawnee Airlines began regular passenger service from Orlando's McCoy Airport directly to Disney World's own STOLport, using small, 19 seat DeHavilland DHC-6 Twin Otters. The actual flight time was only a few minutes. Shawnee Airlines and Executive Airlines both commenced service to Disney on 10/22/71 using Twin Otters. Shawnee initially offered nonstop service to Ft. Lauderdale, Orlando Herndon Airport, Tampa, and West Palm Beach while Executive operated nonstops to Orlando Herndon and Tampa. A third airline, VQ, operated by Volusia Aviation Service, used Beech Bonanzas and a Piper Cherokee on flights between Disney, Orlando Herndon and Daytona Beach. 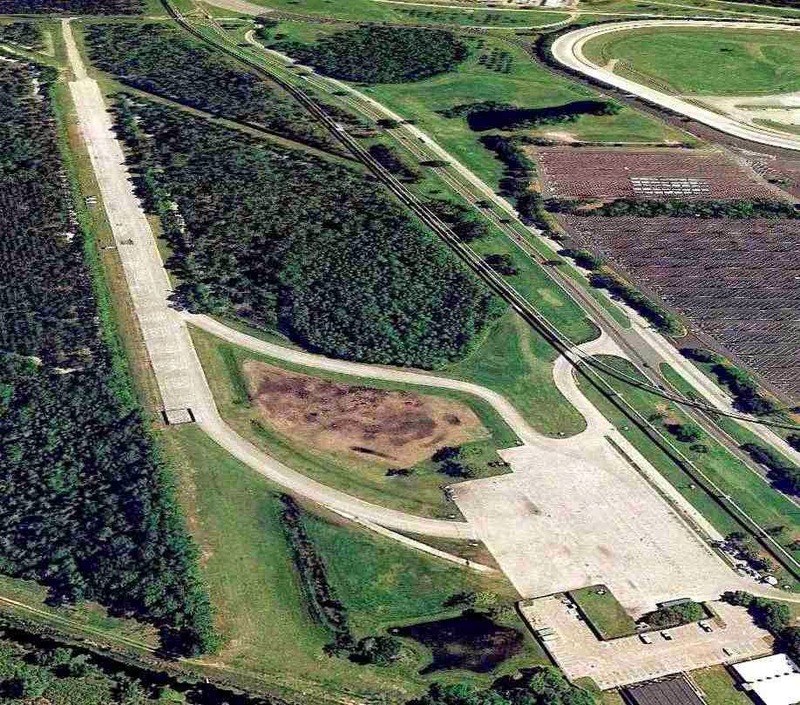 A 2/5/73 Florida Department of Transportation aerial photo of the Disney World Airfield. 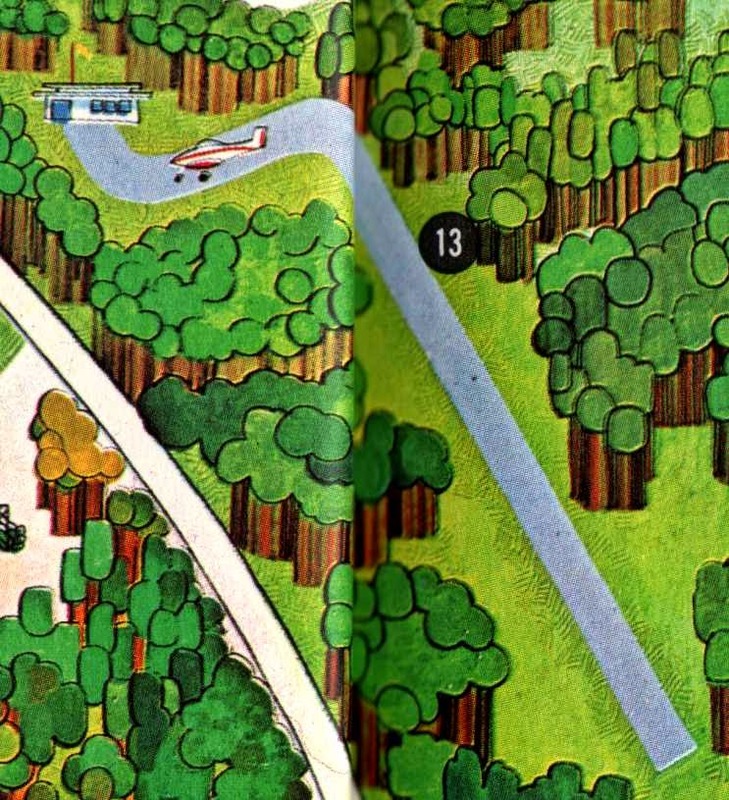 The earliest aeronautical chart depiction of the Disney airfield was on the March 1972 Jacksonville Sectional Chart. 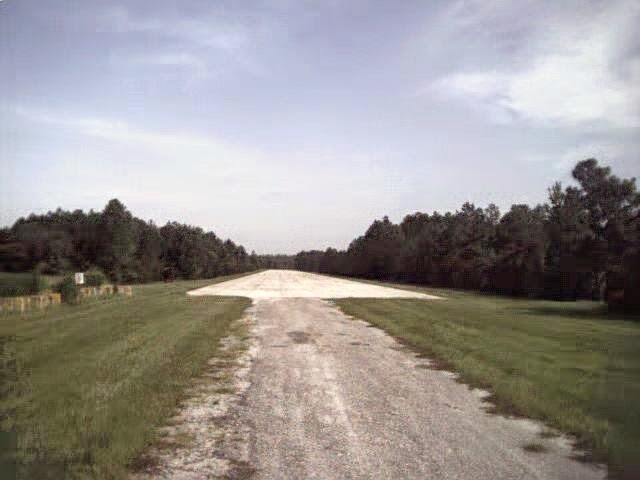 It labeled the field as the "Lake Buena Vista STOL" Airport, and described the field as having a 2,000 ft unpaved runway. Curiously, although the name of the field was labeled, there was no symbol depicting the actual location of the field. Executive Airlines service at Disney was short-lived and the airline ceased all Florida operations on 12/9/71. VQ's service to Disney was noted in the 2/17/72 issue of Flight International. 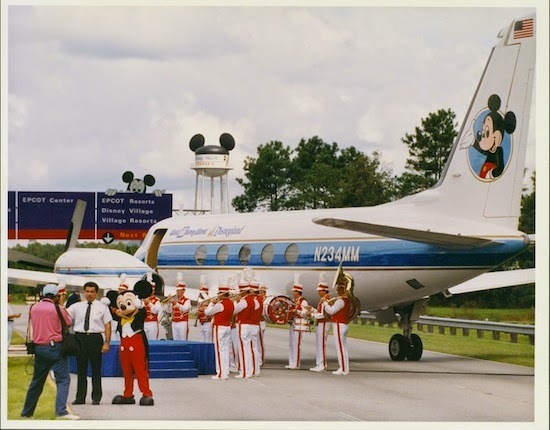 By late summer of 1972, Shawnee had moved their Orlando operations from Herndon Airport to McCoy Jetport, allowing Disney flights to connect with major carriers. A Shawnee timetable from 9/1/72 shows 6 daily (except Saturday) round trips between Disney & McCoy with connecting service to other cities. 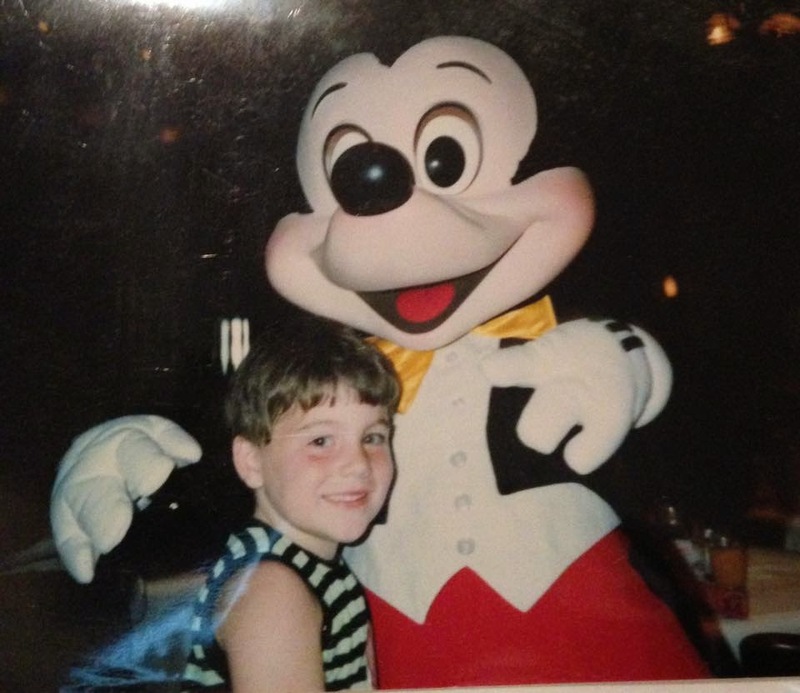 Nonstop flights between Disney and other cities were discontinued earlier in the year. Mounting debt and low passenger loads forced Shawnee to shut down on the evening of 12/28/72, marking the end of commercial airline service at the STOLport. 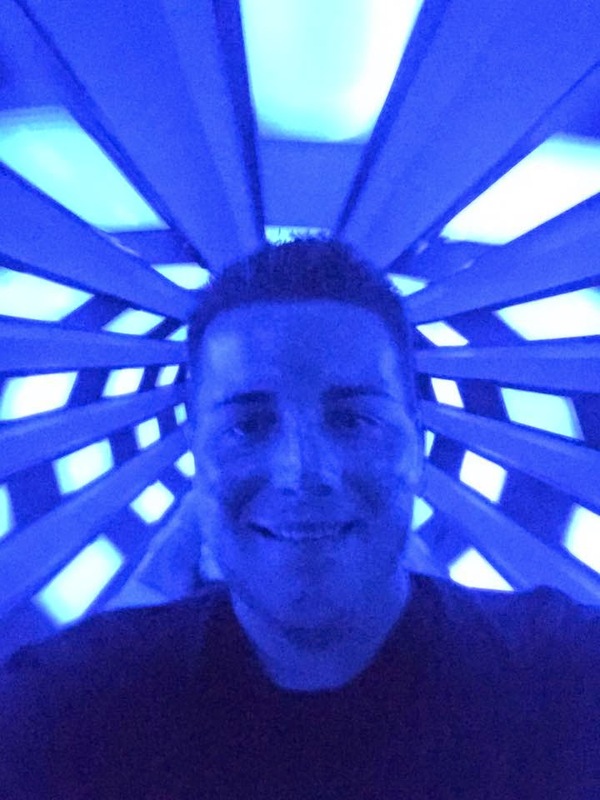 The Disney airport , which obviously seemed like a great idea at the time, was evidently regarded as a failed experiment by Disney & the commuter airlines. It's telling that Disney officials told the Sarasota Herald-Tribune that the loss of airline service at the airport would have no significant effect on park attendance. When Shawnee Airlines was resurrected in 1973, the Twin Otters had been disposed of and service was never reinstated to Disney. Unfortunately for the Disney Airport, in the late 1970s / early 1980s a monorail extension to EPCOT Center was constructed, which placed an elevated monorail track just west of the runway. 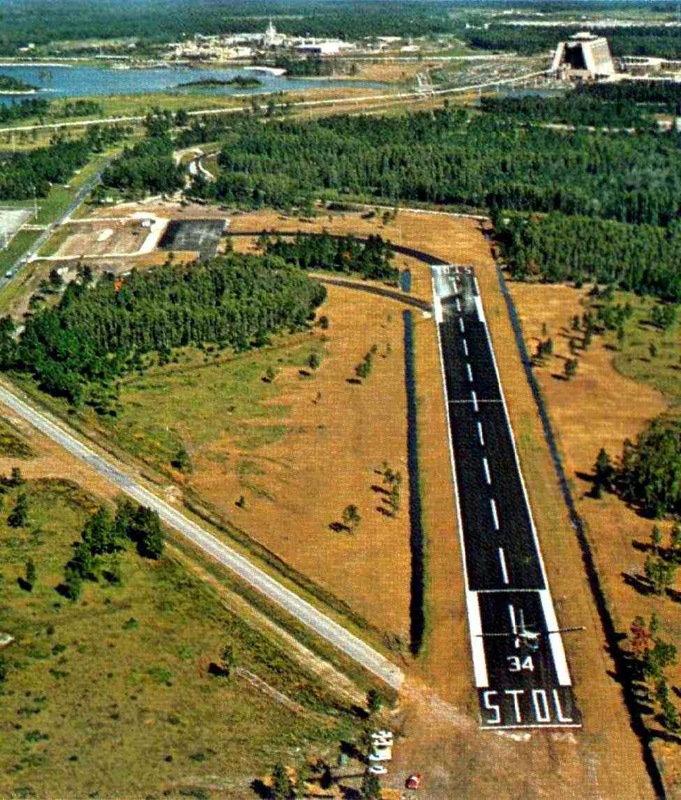 Therefore by the early 1980s Disney no longer allowed larger aircraft to land at the Lake Buena Vista STOLport. 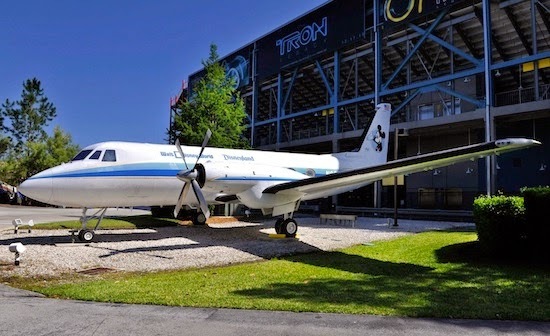 Even when Mickey Mouse One (Walt Disney's own private plane) was being flown into Walt Disney World so that it could then go on display in Disney-MGM's boneyard, this aircraft couldn't get clearance to land at WDW's private airfield. Mickey Mouse One actually touched down out on World Drive which had been completely shut down to traffic just prior to the plane's arrival. 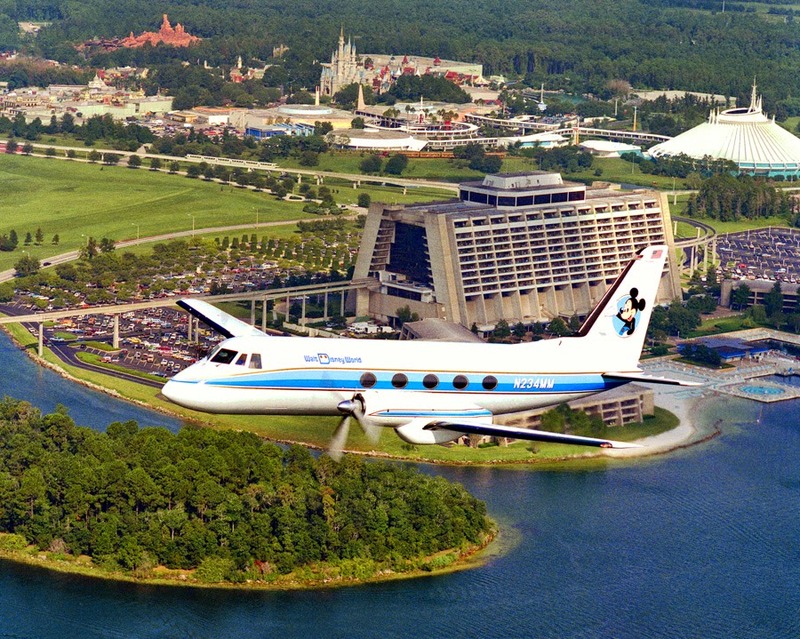 Once the old Disney corporate plane was on the ground, it was then safely towed back to the studio theme park. 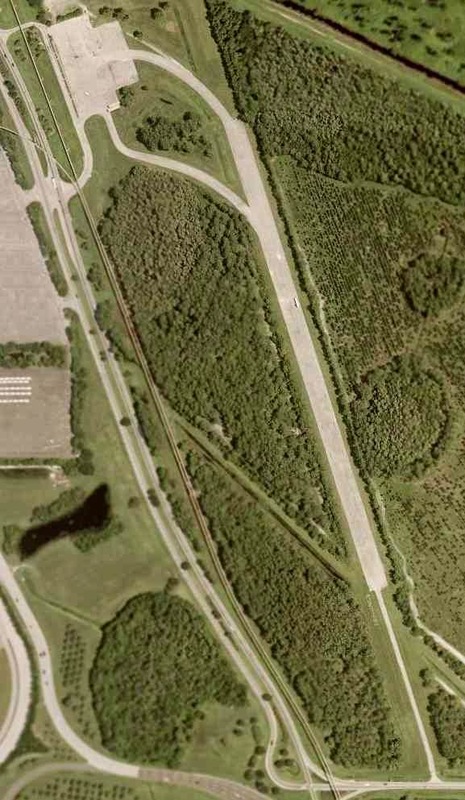 In 2004, the runway, taxiways, and ramp remained completely intact. 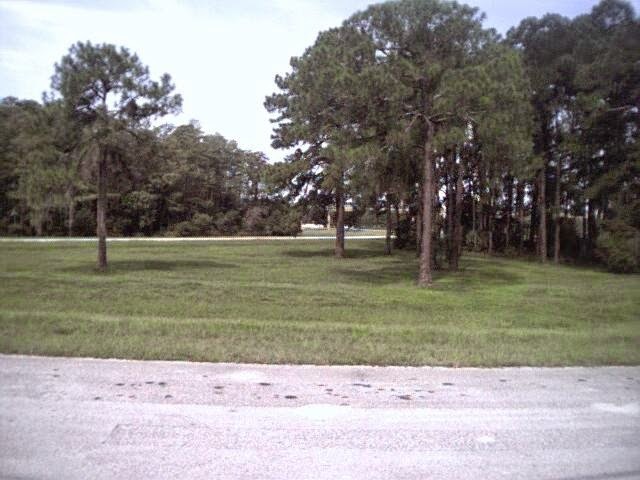 The former runway was being used as a staging area for buses however, the Disney Airfield was no longer listed as an active airfield. 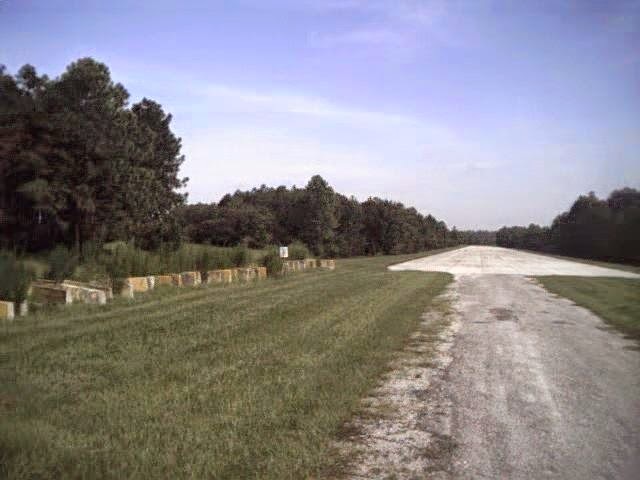 In 2006, the airstrip remained closed to the public but was still in use. During that time Disney would park buses, sea creates, and tractor trailers on the runway and reports indicate the monorail has never been a problem. As a matter of fact, that same year an aircraft landed and took off after making its drop. A truck trailer was then immediately towed on to the runway to block any other aircraft from landing. This turned out to be the preparation team for President Bush's visit to Walt Disney World. Others have reported that company executives would also land there on occasion during this time. 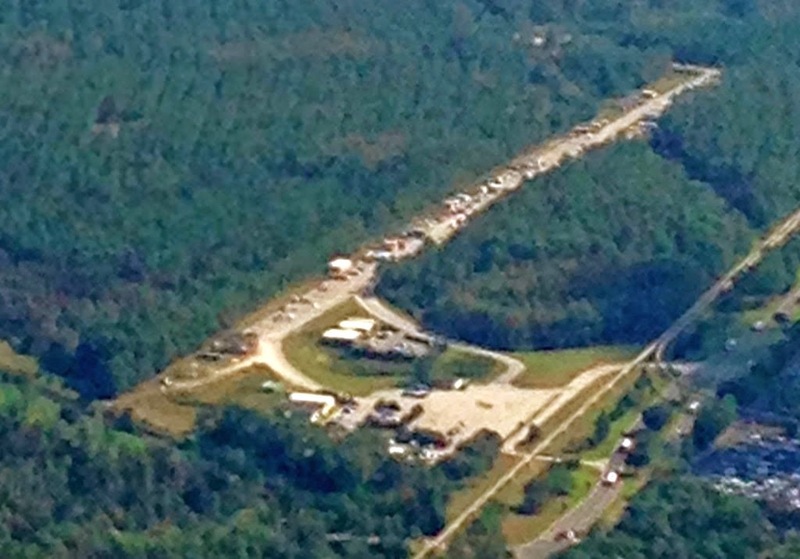 A 10/28/13 aerial view looking southeast at the Lake Buena Vista STOLport. Unfortunately, as of 2013, the airport is covered with vehicles and equipment and is far from being anywhere near operational. 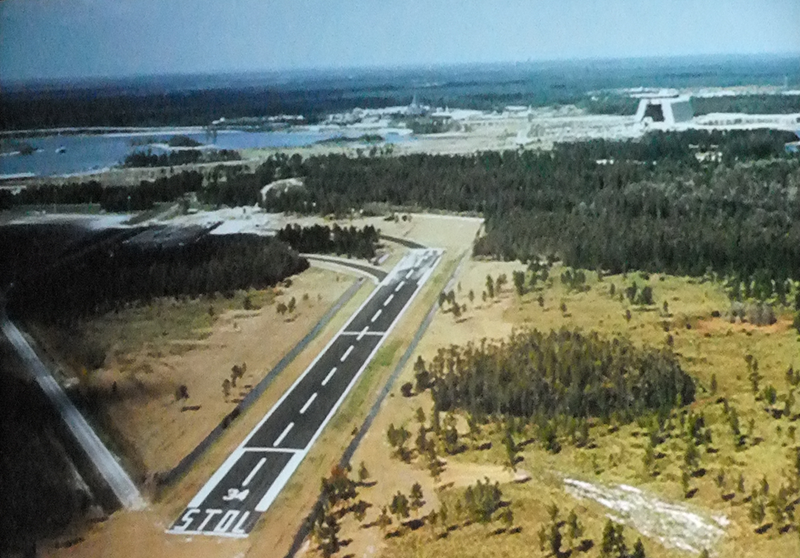 In our new post-9/11 world, the airspace over Walt Disney World is now “protected” by its very own no-fly zone, a “Temporary” Flight Restriction which has been in place for years. How ironic for a resort that was originally built with its own airport. You can read more about Walt Disney's own private plane, the Mickey Mouse One in my article about it here. 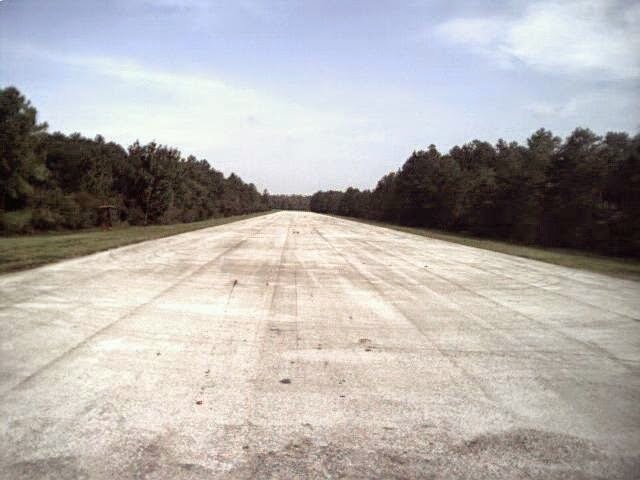 When the 7 Dwarfs Mine Train was being built, the runway was used to stage track sections.